Sweat in Style : Spring Trends I’m Loving! For my 9-5 job, I wear a LOT of black and white. It’s simple, it’s professional, it’s…sigh…kind of boring (or so my younger sister tells me). 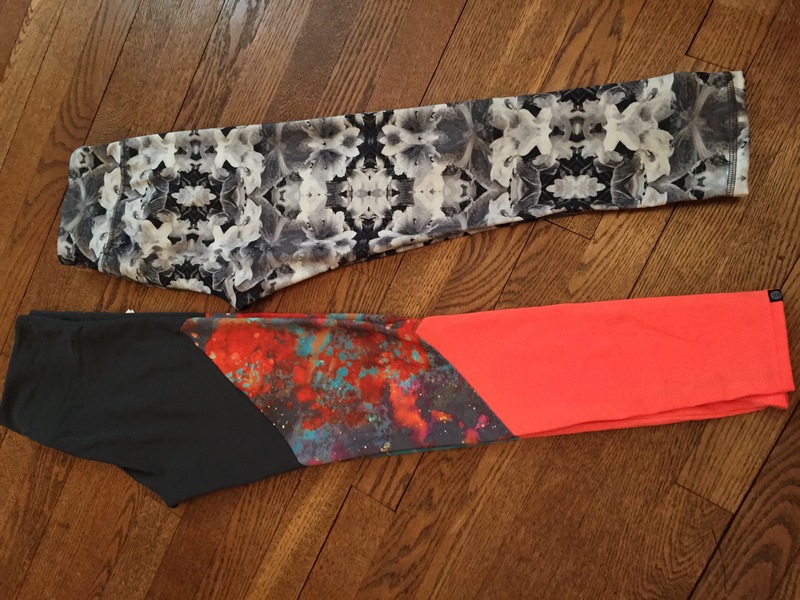 However, I put the more stark looks to the side when I get dressed to work out, often opting for a pair of boldly patterned pants or capris. Pattern pants have been en vogue for a while now, and there is no shortage of styles to choose from! I own everything from floral motifs to cosmic explosions. 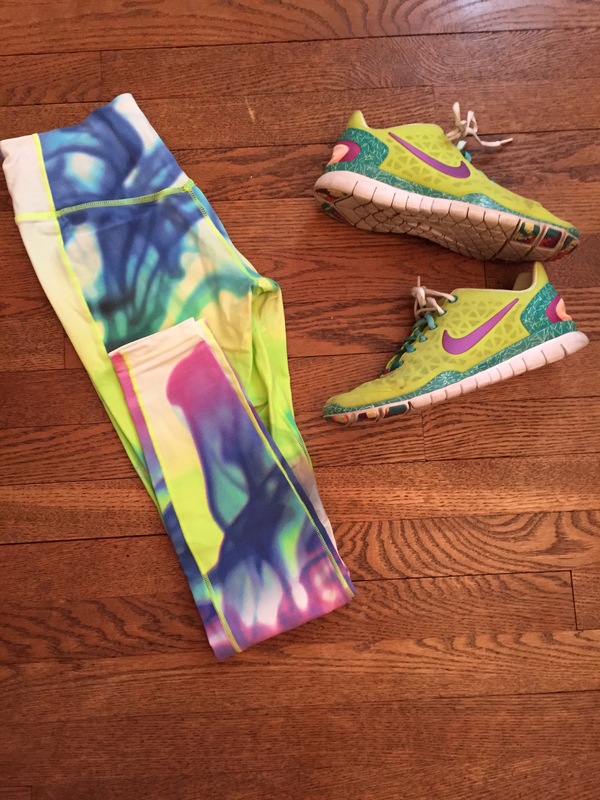 They’re my favorite to pull out when getting dressed for an early morning workout. Nothing like says “6 AM” like sparkly stretchies! I literally went from the girl who owned two simple sports bras (black and white, the same style from American Eagle) to the girl who has a full drawer of crops exploding with color! Lately, I’ve been loving longer, crop-top style sports bras because I can wear them to spin class without a shirt on top. 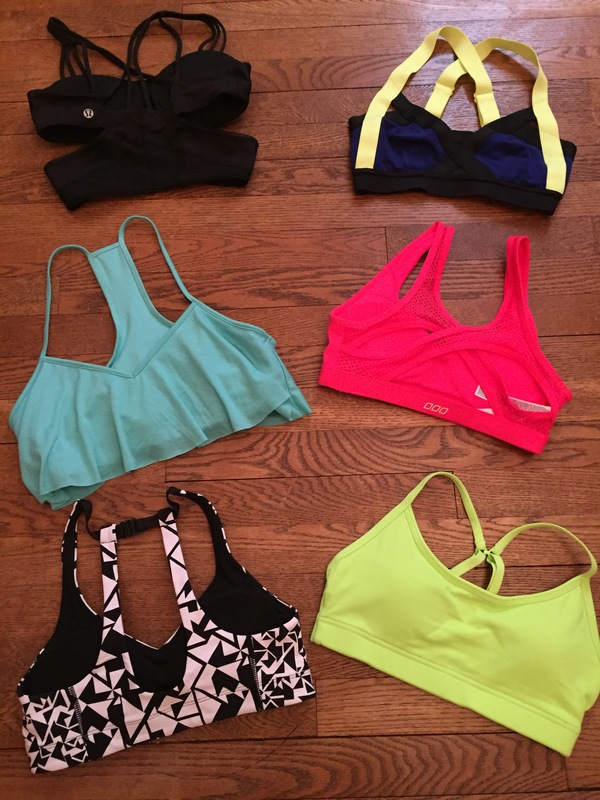 I also love to pick sports bras with bold patterns that peek through slouchy tanks. I love Lorna Jane and her collection of ultra-feminine workout wear. 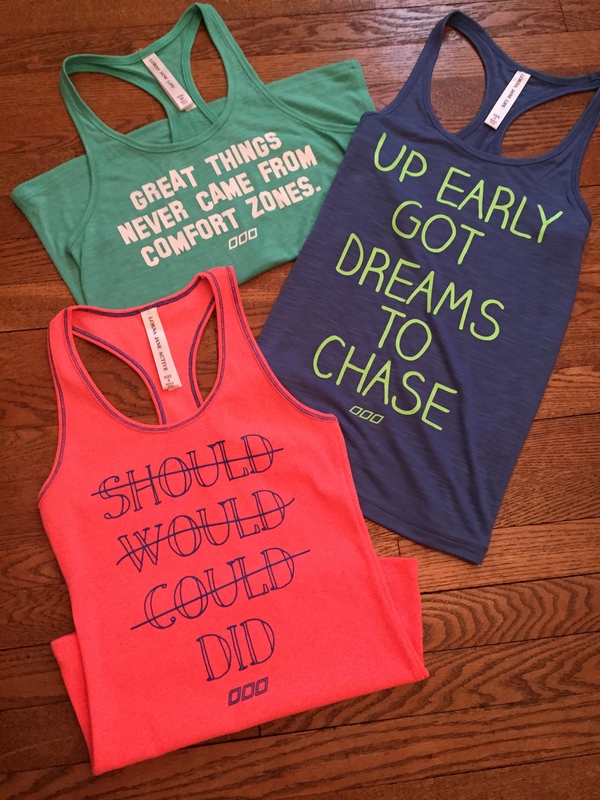 Taking the top spot in her shop for me are her inspirational tanks. In line with her Move Nourish Believe motto, they remind me to never, never, never give up while giving my workout all that I’ve got! 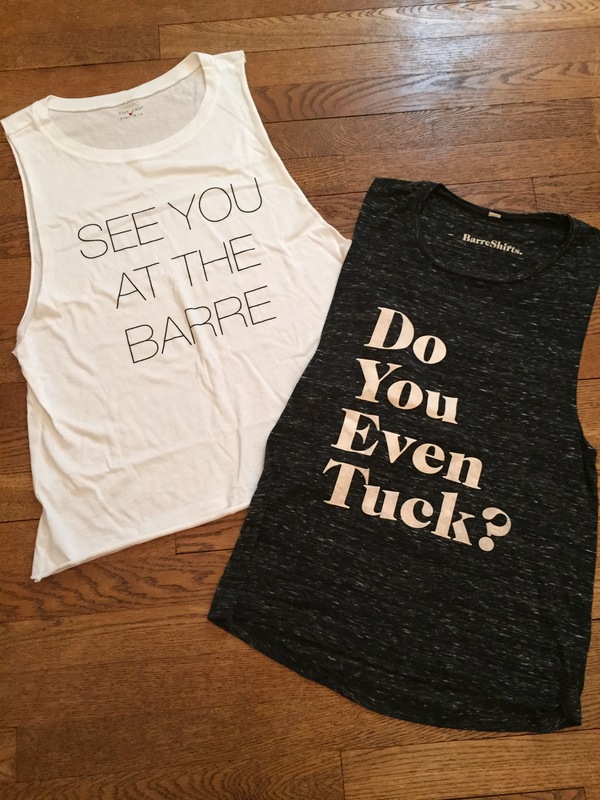 As a Pure Barre instructor, I am always excited to see new clothing pop up in my studio’s store. Since the fall, I’ve been obsessed with the Splits 59 by Pure Barre collection. It’s a special collaboration that can only be found at Pure Barre studios or on PureBarre.com. My favorite piece of the collection, hands down, is the Erid tight. I own them in black, grey, and this season’s new navy. Some people would disagree, but the Type-A in me just loves a well-coordinated look. I like to find ways to match my sneakers to my pants, my Lily and Laura bracelets to my tanks, even my socks to my headband! Feeling put together from head to toe makes me feel like I am on top of the world!